So why don’t you just hire a wedding marquee in your back garden? 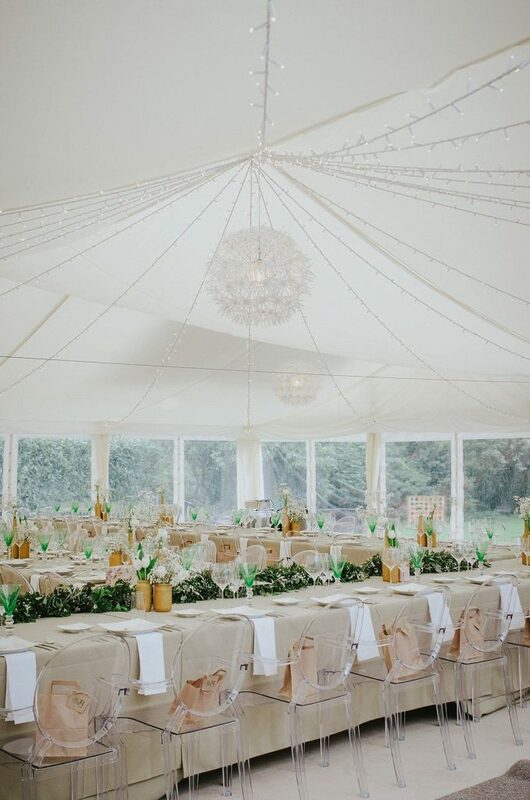 Lots of couples dream of a marquee wedding, there’s something about being in a tent that feels relaxed and laid back, exactly what most of our couples want. 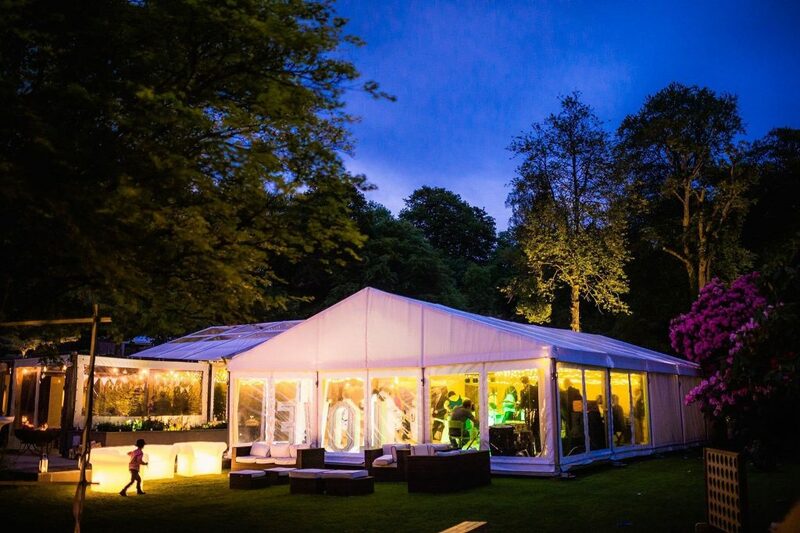 Marquees can be a blank canvas allowing you the freedom to bring your own style and create something unique. I’m not surprised when some couples say they’re looking at Ever After but they’re also looking at hiring a marquee in a field. 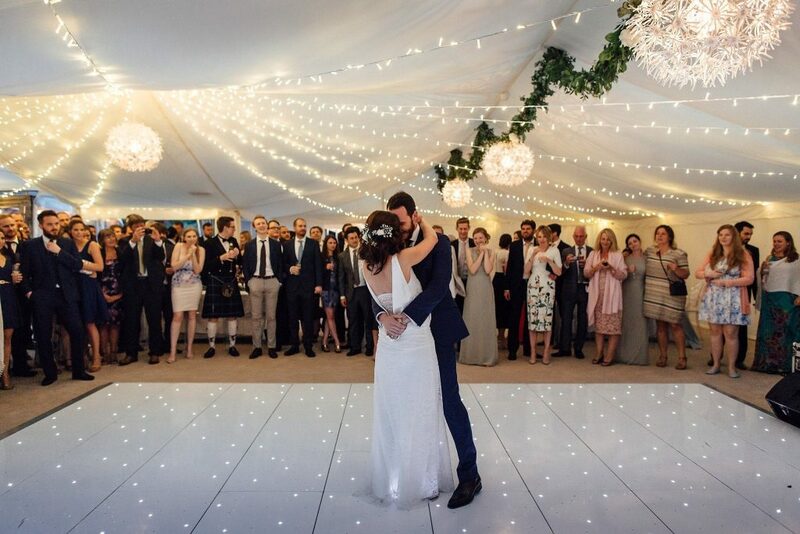 It’s got to be cheaper to just find a field and hire a marquee right – how hard can it be? Especially when you look on the marquee websites and they tell you ‘Prices from £2,500’ – it’s beginning to sound like a complete bargain. the caterers will probably hire the linen, cutlery and crockery to you for an additional charge. nice things to have will be a sound system and a dance floor – more extras. And you’ll need to remember smaller things like a cake table (plus linen) and cake knife and slice. what if the generator you hire breaks down? What’s your back up? And with all these things that you have to hire in, you don’t have a relationship with the supplier and let’s face it they’re going to prioritise their long standing clients over a one-off hire, it stands to reason. But you’ve gone ahead, found your field and sourced everything you need to go in it, now you’ve got to co-ordinate all your suppliers and in the right order. What happens if someone breaks down on the way or just doesn’t turn up? What’s your plan B? Who’s going to put all those tables and chairs out? Decorate the marquee? I can’t tell you how many couples who’ve told me they’ve been guests at a marquee wedding where they worked the whole day before to help set up and were back in the day after to clear down. It’s that day after the night before thing that makes people determined not to put their own guests through that. One way to avoid all these issues is to hire a wedding planner who will have the contacts and experience to hire everything in and look after all it all for you, set up, clear down, co-ordinate. I’ve got news for you, that doesn’t come free. The other way is to hire a venue where they have their own bespoke marquee, linings, solid wood floor, pale carpet, fairy light canopy, bar, sound system, sparkly LED dance floor, catering tent, luxury (and I mean luxury) toilets, tables, chairs, outdoor fires, outdoor lighting, parking, generator, bus service, umbrellas, rugs and let them do it all for you. 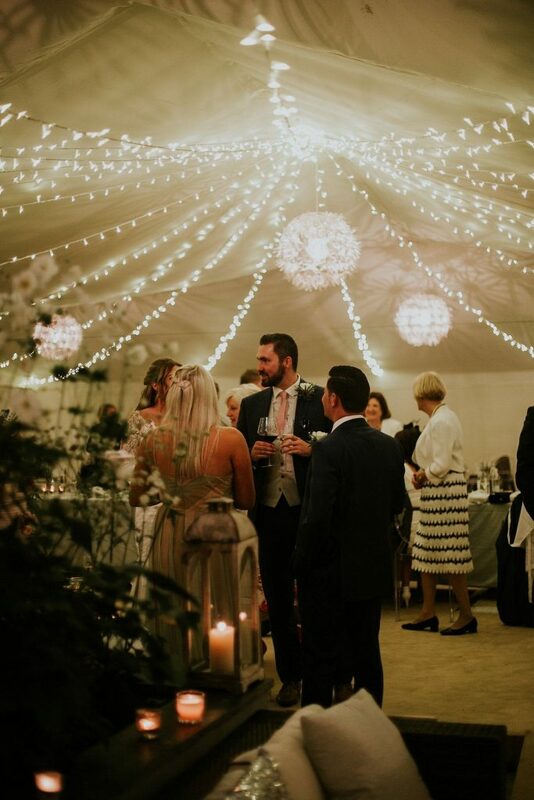 Well, phew, good job we’re here then…Add to the mix a stunning stone wall backdrop, indoor fire, indoor planting and water feature and you’ve got yourself a marquee wedding you can’t get anywhere else. Get your digital wedding brochure link delivered to your inbox here and get yourself on the way to your beautiful marquee wedding without any of the hassle. It takes a whole day to set up for your wedding the day before, we’ll be there for the whole day of the wedding and we’ll clear down the day after. You can kick back and relax knowing you’ve got a team of experienced wedding planners and organisers (wedding ninjas basically) dedicated to the wedding you can see right now in your head. With a click of your mouse you can take yourself closer RIGHT NOW to getting that reality on your wedding day. Don’t just take our word for it, read our reviews from happy couples who chose to do just that. Previous PostWhat's included with our wedding marquee?